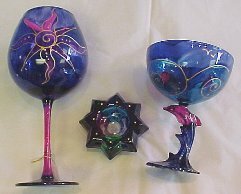 If you are looking for that special gift, why not take a look at our hand-painted glass. 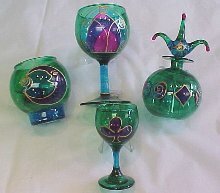 The glass comes in a variety of shapes, sizes and colours and are more than just ornaments. 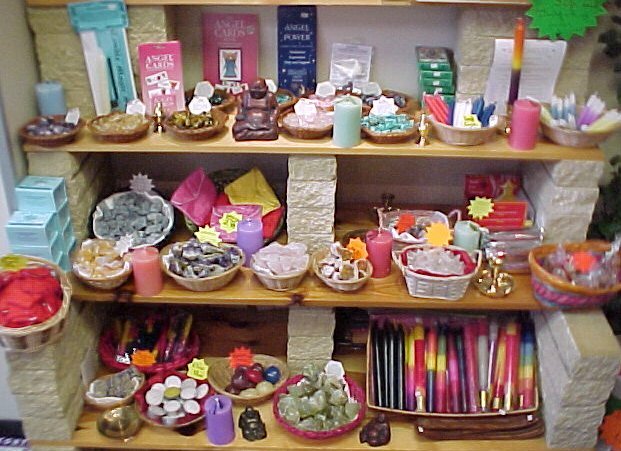 The examples below show a variety of glasses, candle lamps and perfume bottles. 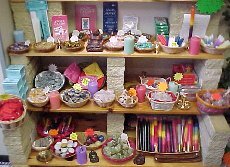 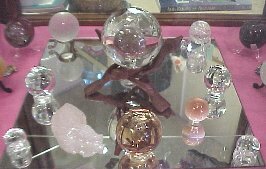 We also have a wide range of candles - the perfect small gift, and also a wide variety of crystal balls.